2019 dates Saturday 25 May 10 am - 12:30 pm or Saturday 9 November 10 am - 12:30 pm. Beginners courses Saturday 6 April 10 am - 12:30 pm or Saturday 17 August 10 am - 12:30 pm. In this course you will refine your skills in lampshade drum making and learn how to line your shade. You will end up with a beautiful ceiling pendant or table lamp shade with a surprise. All you need to bring is .5m of fabric for the outside and .5m for the inside. One should be patterned or bright to contrast with the other plain piece. The course fee includes lampshade kit valued $40.50. The tutor will provide tools to use on the day. Unfortunately we are unable to cover lampshade frames other than the size and shape supplied for the course. 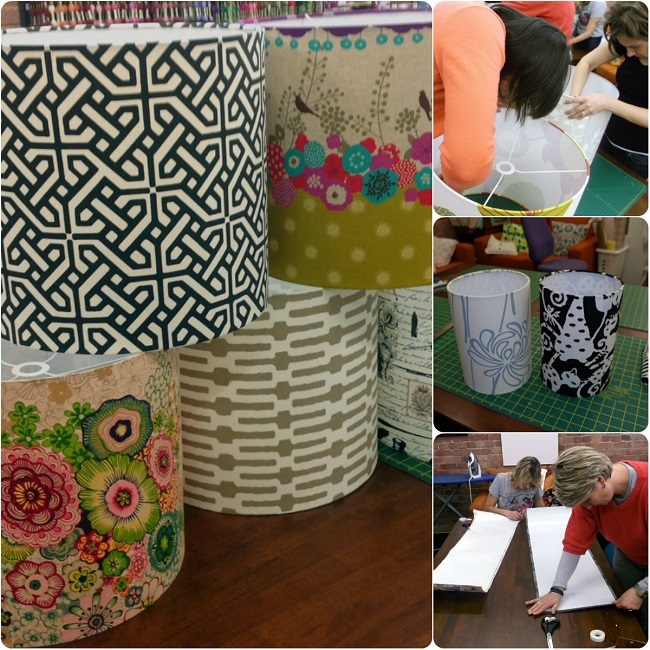 This course is suitable for those who have attended our introductory Lampshade Making course. It is not suitable for beginners.